Happy (early) Thanksgiving to all of my American friends! Here in Canada we celebrated Thanksgiving in October so we are in full holiday mode. My husband doesn’t let me decorate until December 1st (and rightly so, otherwise I’d have had the tree up for over a month already, haha) but I am well into holiday shopping and am very much looking forward to seeing some of my bloggy friends at a holiday event tomorrow night. 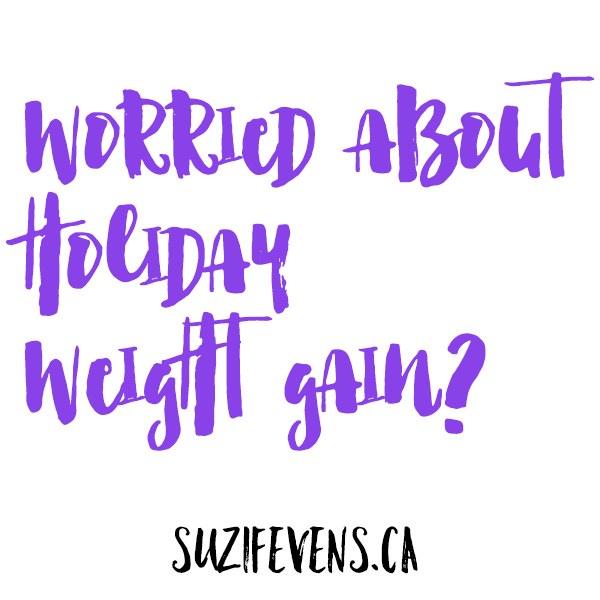 Now let’s get to the purpose for this post – holiday weight gain. It happens. I know it, you know it, we all know it. Especially if you are like me and live in a place where we get a proper winter. There is just something about sitting around eating chocolate and cookies when it’s cold and snowy out. And you know what? There is nothing wrong with that! It’s all about balance. The problem is, many of us loose that balance between now and January 1st and end up adding 5 or more pounds of fat to the ole body. And that isn’t so great. You guys know me, I am ALL about enjoying treats. That’s why I’m offering a 5-Day Healthy Living Challenge this week over on Facebook to help us stay on track this holiday season. No matter what your eating style is (vegan, paleo, weight watchers, whatever), and no matter what type of workouts you do (and even those who don’t do any) can all benefit from this challenge. Want to join? It is totally free and will be a fun way to help keep you on track this week. And if you are already living a pretty healthy lifestyle, it might act as a bit of reinforcement to let you know you are doing an awesome job (I’m sure you are!). I hope to see you over in the group!